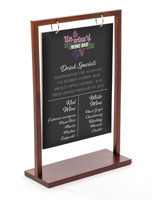 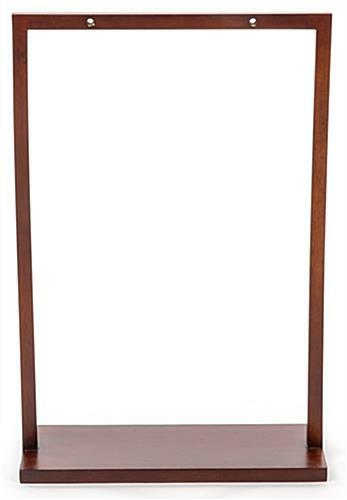 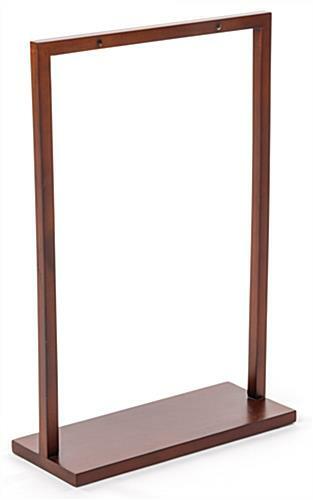 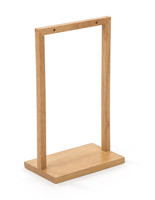 This hanging wood countertop sign holder with a deep brown finish is perfect for any restaurant, bar or boutique store. 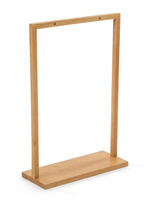 Two metal rings allow you to hang your own 8.5” x 11” insert from the two-post stand. 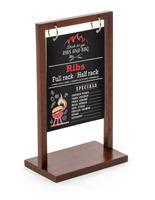 Great for a tabletop in any restaurant or store, the hanging countertop sign holder has an elegant design and a deep brown finish that will complement your existing décor. 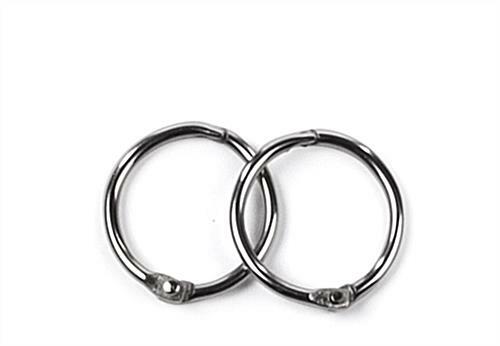 The metal rings accommodate a double-sided 8.5” x 11” printed insert (sold separately). 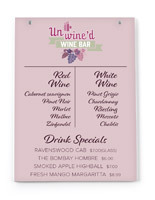 Use the tabletop two-post stand as a frame for displaying a menu. 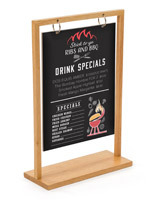 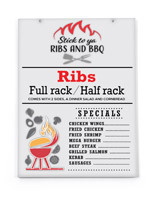 This hanging sign holder is a must-have for any restaurant, bar or boutique.